Watch the video to hear what your colleagues are saying about their success in detecting early decay and establishing an effective remineralization program using "Crystal Structure Diagnostics"
Detects caries under sealants and around the margins of restorations. 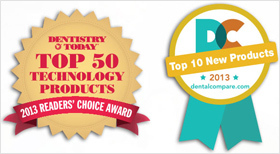 Detects caries on all tooth surfaces, as small as 50 microns up to 5 mm below the surface. Not affected by stain or calculus. Does not require isolation or dry field. Greater specificity than other devices and detects caries earlier than X-rays. 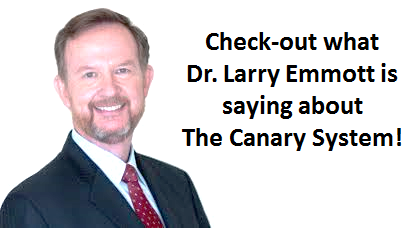 New American Dental Association code includes scanning procedure for The Canary System. Independent study concludes Canary is superior to bitewing radiography for proximal caries detection. Wall Street Journal features Canary! 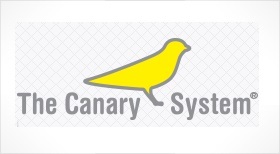 3M ESPE Canada and The Canary System join forces to detect, treat and heal! Every purchase of The Canary System comes with a '3M ESPE Welcome Kit' containing preventive products! 3M ESPE and The Canary System - for the best in caries management!